Are you looking for a wardrobe overhaul, a fine-tuning, or the head-turning look for a special occasion? Do you need help selecting the right clothes and require advice on how to put them together? Look no further, Joseph and his team are here to help you! Call or email us to discuss the right combo of services for you. Services are available as a package or individually, and don’t need to be decided upon at the time of booking. The most important step to achieving a wardrobe filled with go-to pieces that fit you and your style is our ‘Closet Analysis’. Together with our consultants, you will both go through your closet to determine what stays, goes, and what’s missing. This step gives our consultants an understanding of your style, and what looks good. It helps us determine the needs of your developing wardrobe, so we can build on what you have. And, it’s all part of our personalised service – we get to know what you already have and so we can shop for what you need in one of our city stores. 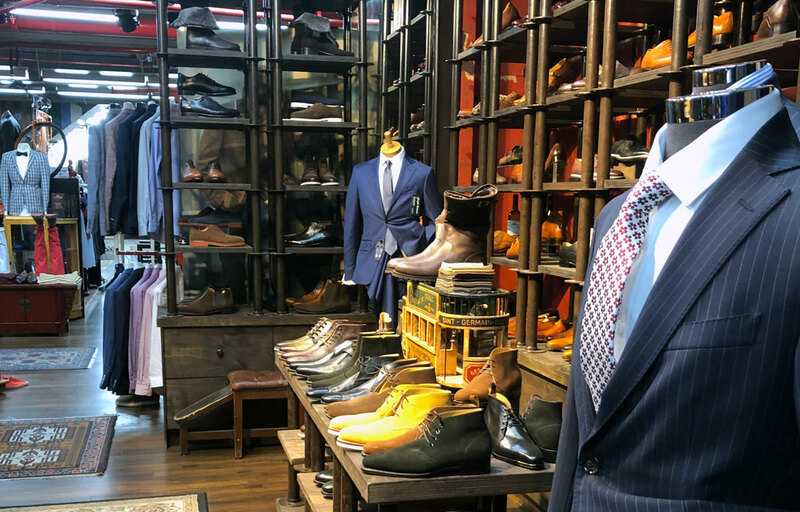 Our consultants will book you to come into one of our city stores and assist you on what’s available and will only show you garments that fit your body, budget, taste, and lifestyle. When you arrive, we shop… You try everything on (and even add some pieces that may have caught your eye on the way in). Our consultants will give you an honest, impartial opinion on what looks good (and what doesn’t) and what will work with what you already have (remember…from Step 1). You only buy what you love. Now we “put it all together”. Our consultants help you coordinate and plan dozens of head-to-toe outfits to set you up for taking the stress out of getting dressed. We create outfits that integrate the new pieces you’ve bought, with what is already in your closet. We curate head to toe outfits (with shoes, accessories, bags – really everything) so you’re set for any event, occasion, weather, or mood that strikes. You try them all on, so you know the tips and tricks that go into each outfits success. You’ll know how to roll the jean, if the collar goes up or down, how to wear the tie and all the fine details. We can snap photos of you in these outfit combinations (to help you remember it all once you leave our store). You get dressed, every day and for any occasion by just looking at your photos.